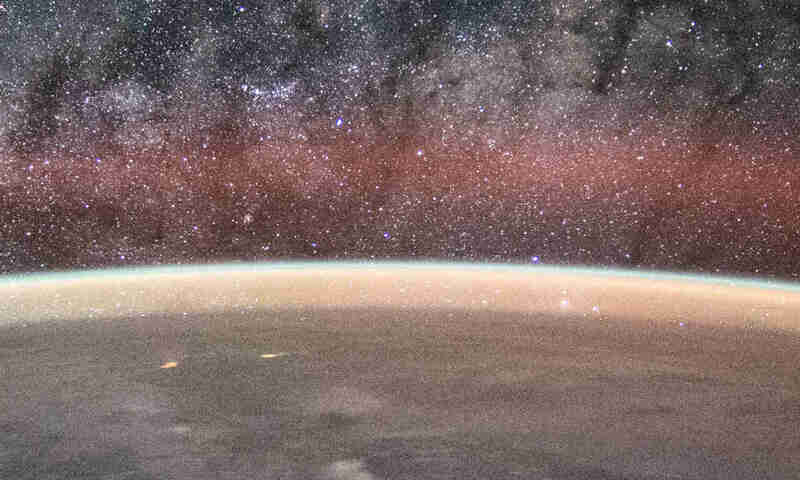 In the original videos, there are moments where the horizon looks flat as well as convex and concave. Surely this is because a fish-eye lens was being used. The unscrupulous flat-Earthers who first mined these videos deliberately ignored the parts where the horizon doesn’t look flat. We used the excellent curvature simulation tool by Walter Bislin to determine the expected curvature from the altitude and camera being used. To convert the resulting simulation from rectilinear to fish-eye, we used the ‘convert’ utility from ImageMagick. We don’t know for sure the exact camera/lens used in the setup. For this purpose, we assume they used the ever popular GoPro with a wide-angle setting. The result? It turns out everything is in line with the expectations if the Earth is spherical. 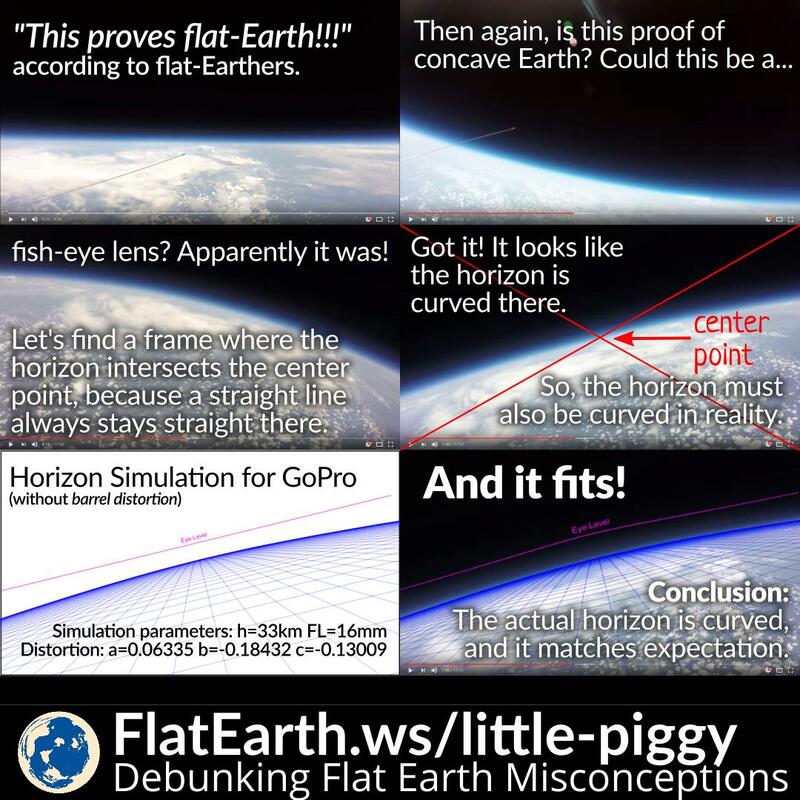 The Little Piggy footage can be regarded as one of so many evidence that the Earth is spherical. And no, it is not ‘proof’ of a flat-Earth, not even close.